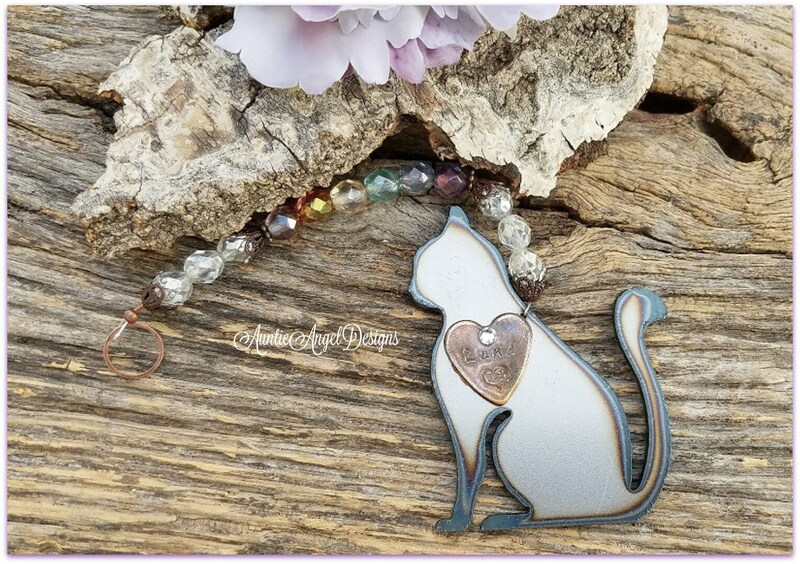 A purrfect and exclusive beaded cat memorial ornament by Auntie Angel Designs for a great year-round cat sympathy gift. 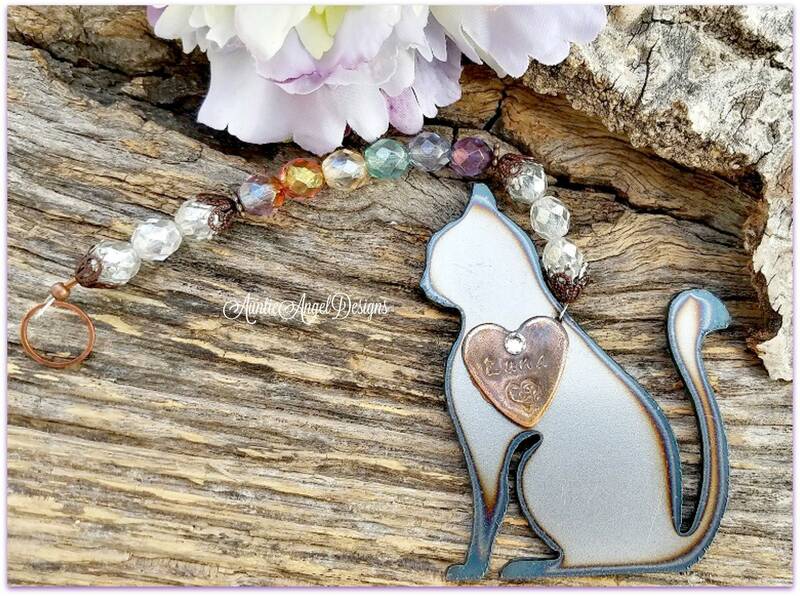 This gorgeous, yet simple Rainbow Bridge-inspired memorial gift is meant to remind you always of your precious kitty at the Rainbow Bridge, knowing one day you will be reunited. 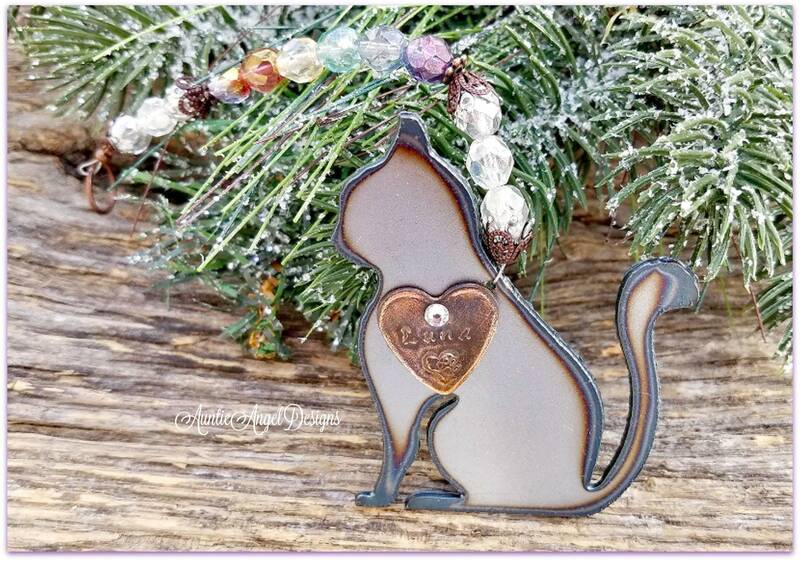 This ornament's total beaded length including the metal cat is approximately 7" long. 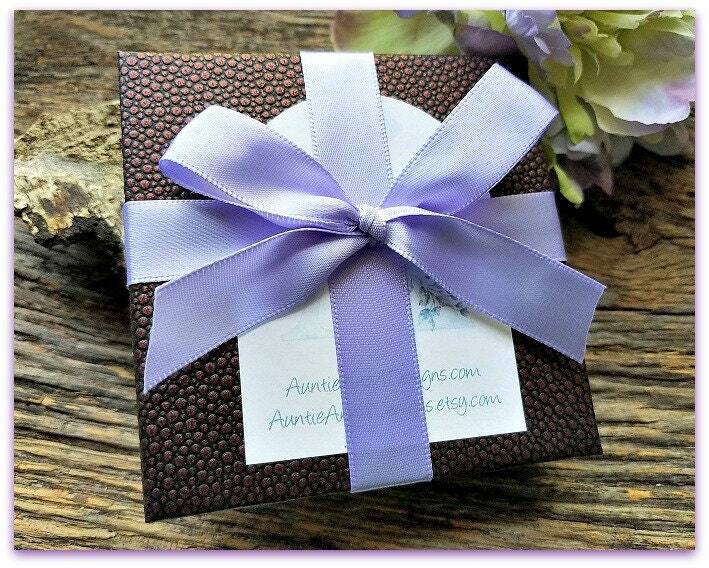 The personalized stamped heart charm is glued to the metal and a genuine Swarovski crystal adds interest. Your ornament is NOT meant to be displayed outdoors and is NOT water-resistant or waterproof. 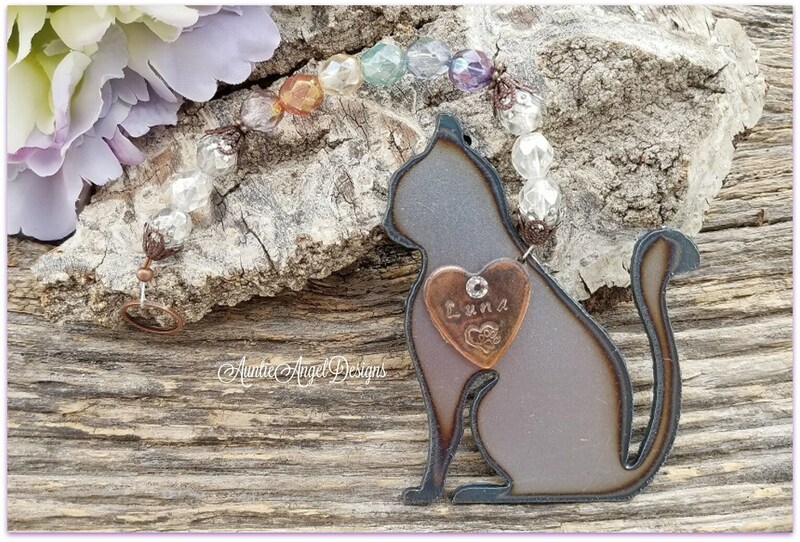 Each metal piece has been triple clear-coated to preserve the richness of the steel coloring and burn pattern from the saw, which varies from ornament to ornament. 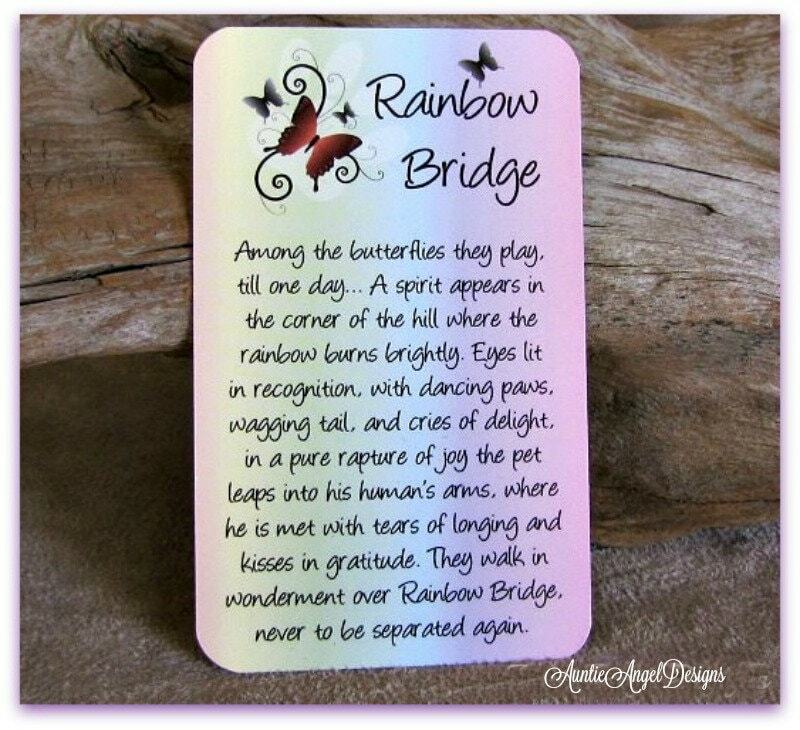 I have received a dog memorial and given a cat memorial, and they are both beautiful. At such a sad time it was comforting and appreciated. Thank you for the lovely ornaments.